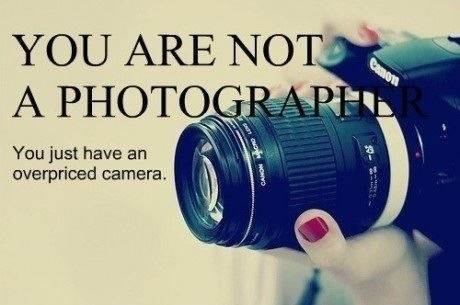 YOU ARE A PHOTOGRAPHER !! ARE YOU? JUST BECAUSE YOU HAVE AN OVERPRICED CAMERA!!! That's why I don't even own a cheap camera :).